DAVID LE/Staff photo. 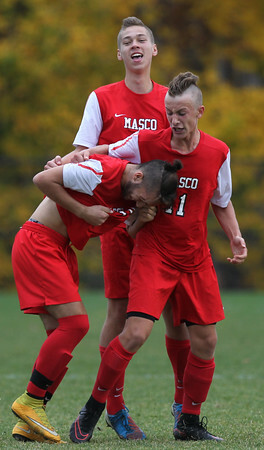 Masco senior Anthony Tzortzis (10) celebrates his goal with teammates Michael Budrewicz, right, and Will Johnson, center. 11/6/15.